Dave Cole recently put together a wonderful helping hand for the good folks at the City Union Mission in K.C. Dave decided to take the initiative and attended a luncheon at the Mission. The director of the Mission stopped him on the way out and asked what he did for a living. Dave told him, and the director asked for help; what they needed were some large boxes for charity drop-offs. Dave called our friend, Bill Stephenson, at PCA who was glad to donate some samples that he had in his garage. These may have ended up in the recycle pile eventually, but Dave Cole found a better home for them. The director was grateful, but Dave was not finished. Dave asked what else might need attention. The Mission serves thousands of meals per week and has a great need for paper plates, cups, etc. Dave immediately thought of teammate Gail and her customer Aspen. Aspen manufactures these sorts of things and upon Gail’s inquiry; she was informed that they would love to donate some of their overruns. In fact, they were eager to do so as they would benefit from the space it would free up for them. Buoyed by the success with Gail and Aspen, Dave contacted Scott Hardy who is talking to his customer, Church & Dwight, about the possibility of supporting this worthy cause with some of its detergent product. Congrats to Dave for leading this project and for taking the initiative to get involved. 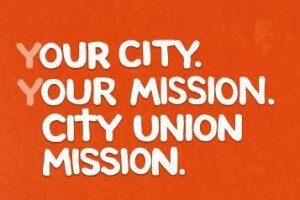 If anyone at CP is interested in working with the City Union Mission, contact Dave or contact the Mission. If you are doing philanthropic work in your community, please let us know. It helps us all get involved.